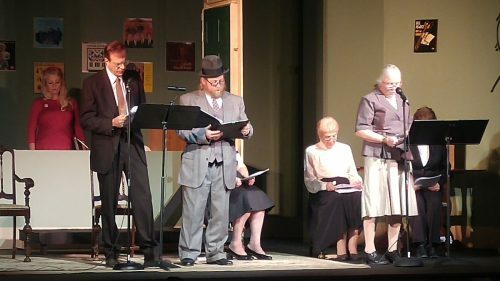 The Rialto Players opened their production named “Vintage Hitchcock a live Radio Play by Joe Landry. 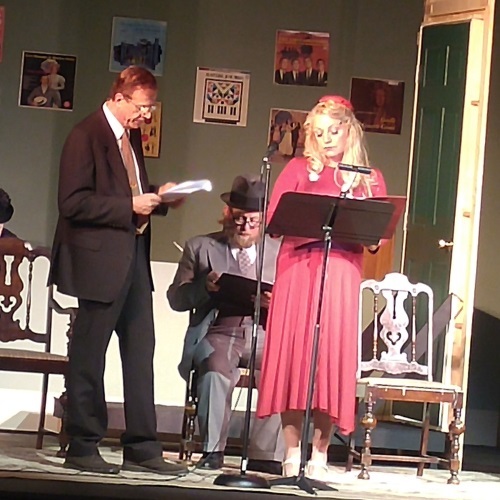 This production is directed by Janet Romanos. 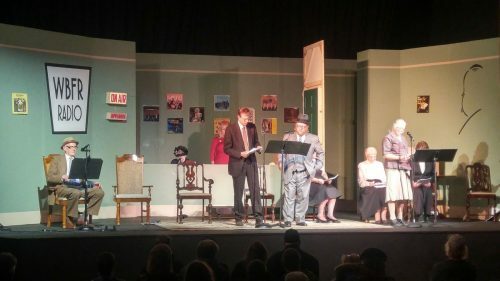 Our radio station employees will be creating on stage, as much of the live, sound effects needed during each of the three shows. “The Lodger”, “Sabotage”, and “The 39 Steps”. 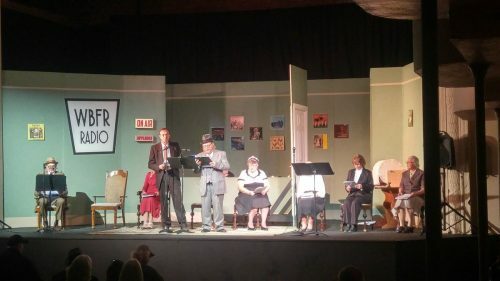 Spies, murder, love and other trademarks of Alfred Hitchcock come to life in the style of 1940’s Radio Broadcast of the master of suspense’s earlier films: The Lodger, Sabotage, and The 39 Steps. 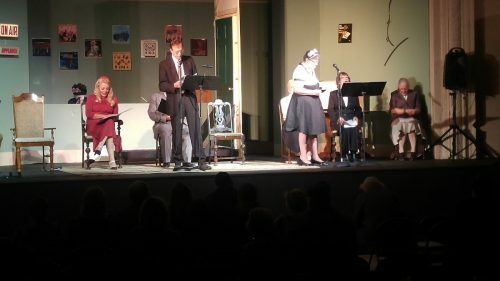 Performances were held on November 9th, 10th, 11th and the following weekend, November October 16th, 17th and 18th.